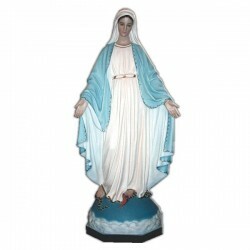 Statue of the Miraculous Virgin 165 cm. Statue of the Miraculous Virgin, of fiberglass, 165 cm, handmade in Italy. 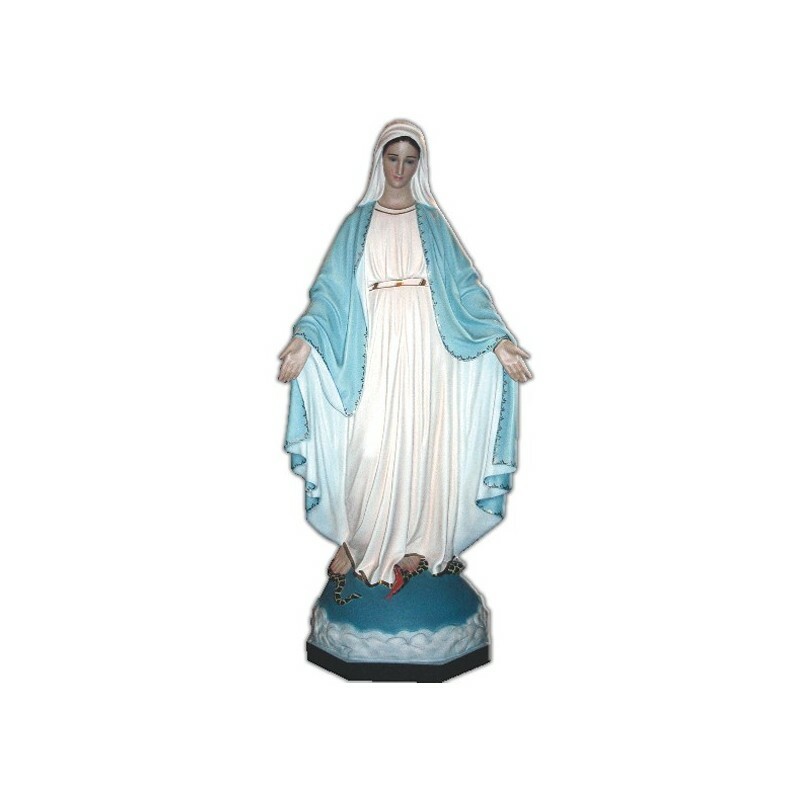 The Miraculous Virgin or Virgin of the Miraculous Medal. The tradition tells us that it was coined by command of the Virgin, who appeared to Saint Catherine the Bourè in 1830 in Saint Vincent de Paoli. The medal represents the Virgin with open arms, with some rays which start from the palms of her hands. They symbolize the Graces. Around her there is an inscription “oh Mary, conceived with no sin, pray for us”, backward there are 12 stars which symbolize the 12 Israeli tribes and the 12 apostles. A heart represents the Sacred Heart of Jesus and the one which is pierced from a sword is the Immaculated Heart of Mary. The cross symbolizes the Calvario’s sacrifice. 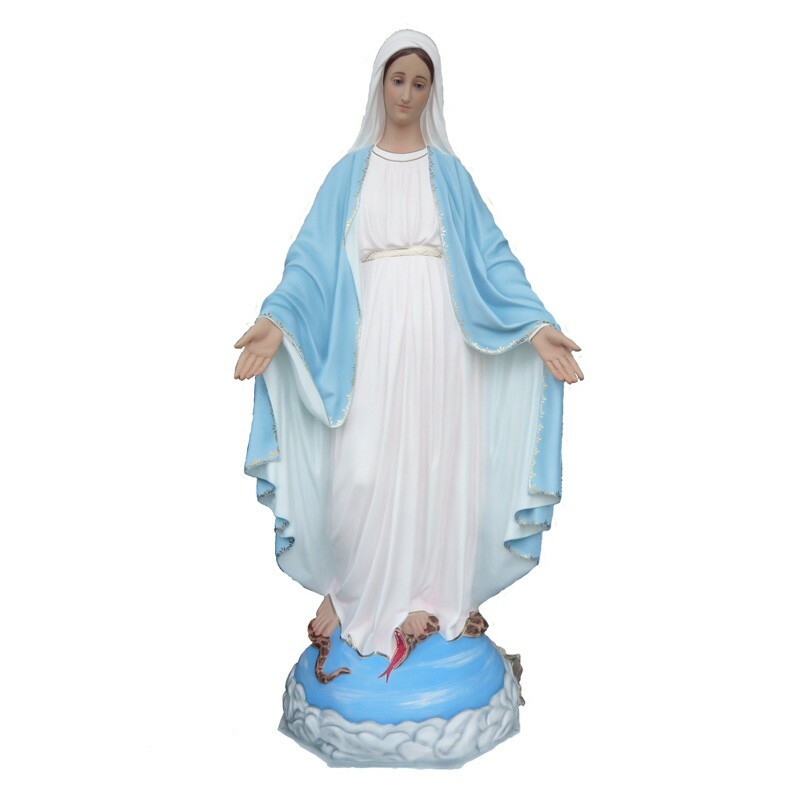 The image of the Miraculous Virgin is represented with a white clothing and a light blue mantle, the hands ahead, a snake under her foot. It is the symbol of evil and of the devil who was defeated by Jesus.